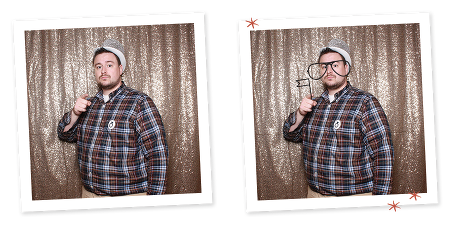 State College Photo Booth : GIFS! Everyone loves gifs, am I right? In addition to prints, guests at the Central PA Bridal Expo were able to email themselves gifs! The photos + gifs were available immediately on our kiosk. Want to include them in your rental? Let us know! We also debuted our newest backdrop for the modern booth and are in love with the pink ombre beauty! We’re always expanding our collection and are happy to create custom backdrops, too! Paper flowers, streamers, balloons, the options are endless! Our next wedding show will be on Sunday, February 19 at the Blair Bounty Convention Center. Check it out and be sure to say hi! We’ll have some fun surprises for you! P.S. How gorgeous are these BMSHL Beauty girls? Happy New Year’s Eve! If you’re a last minute party planner, check out our New Year’s Photo Booth Props available on Etsy! We’ve expanded the printable set and you can find iMessage stickers on the App Store, too! We can’t wait to see what’s in store for 2017 and wish everyone the best! Our first pack of stickers is available on the App Store! We thought it would be fun to create sticker packs from our Etsy printables, so our lumberjack set was first on our list. It’s perfect for the holiday season! 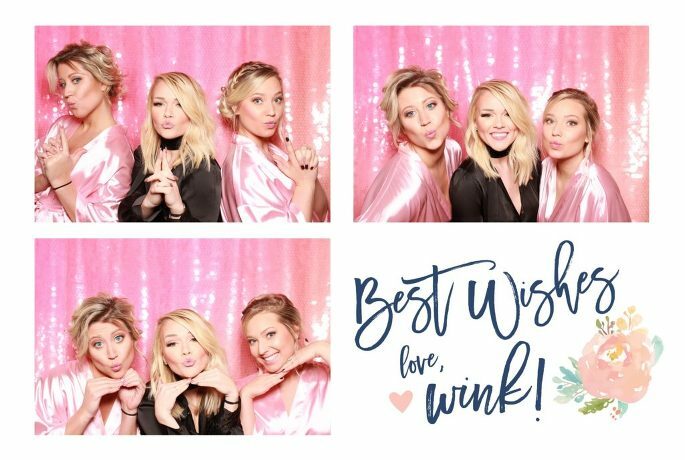 You can have the fun of a photo booth anywhere! There are several sets under review and will be available soon – Christmas, New Year’s, Wedding, and more! We will post about them when they’re live and ready to go. If they’re popular, we’ll keep making them! We have a few codes available for a free download, so follow us on Facebook for more information. Check out our App Store stickers! Photo Booth Props Available on Etsy! Nautical bachelorette party photo booth props from wink! Modern black and white props from wink! Free State College Photo Booth on Small Business Saturday! We’re excited to celebrate Small Business Saturday at The Makery in State College, PA! Stop by for free photos until 4PM! We’ll also have free totes designed by one of our favorites, Rifle Paper Co., and a few surprises, too!